Solid Signal sells masts for just about any need. But what is a mast? Really it’s just a pole. Yes, I would rather that you bought all your mounting supplies from us. But I get it – for some people the shipping can be high and you want to get something locally. Here’s all the information you need. Masts are measured by outer diameter. You will see the letters “OD” next to a mast and that means its outer diameter. Since the mast is made of metal, the thickness of the metal needs to be considered. 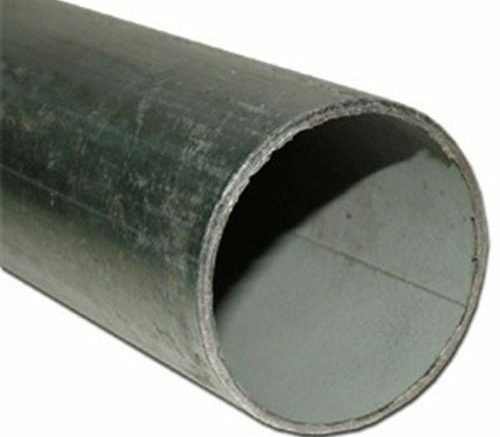 Sometimes, pipes of all types are measured by their inner diameter. This is important if something is going to flow through them. However, for masts which support something else, it’s outer diameter that really makes the difference. This is about the thinnest mast you should consider. Any thinner and it just wouldn’t be strong enough to hold up to winds. While you could use a solid piece of rebar or something, antennas aren’t intended to be mounted that way. And it’s TV antennas or cellular antennas you’ll be mounting… everything else uses a thicker mast. Masts with a 1.66″ outer diameter are intended for DISH or for TV antennas. They can also be used for older, round satellite dishes of any kind, or for cellular antennas. In most cases they are the perfect option for mounting. You can get 1.66″ OD masts at most home stores or at fencing supply stores. This is really sort of a rare size for a mast but it’s actually fairly common for fenceposts. It’s used for DIRECTV Slim Line dishes and pretty much nothing else. Some TV antennas will work on a mast this thick but many will not. This mast is used for very large dishes like DIRECTV’s Alaska/Hawaii dish. It’s the wrong choice for pretty much everything else. If you don’t know what you’ll be mounting, the 1.66″ OD mast is going to be your best friend, because it’s going to work with nearly everything. You can find mounting supplies as well as everything you need at Solid Signal, so even if you end up getting the mast elsewhere, shop https://www.solidsignal.com for the satellite and antenna supplies you need. Should you clean bird droppings off the dish?